Sheer luxury is artfully combined with the warm comforts of a rugged mountain retreat at Solara Resort & Spa in Canmore, Alberta, Canada. 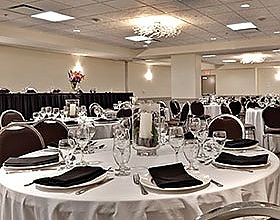 Designed for corporate conferences, luxurious family vacations, and romantic getaways, our stylish Rocky Mountain lodge provides spacious vacation accommodations alongside five-star resort amenities near Banff National Park. 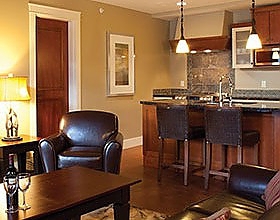 Our suites offer an indulgent brand of luxury that elevates and redefines the typical mountain retreat. Our wide selection of 1, 2 & 3-bedroom suites are very well appointed with full gourmet kitchens featuring granite countertops and state-of-the-art stainless steel appliances. Enjoy high-end details at every turn with cozy fireplaces, imported cork flooring, hand crafted natural wood, stone, leather and metal elements, oversized windows, and flat screen televisions. Bathrooms feature spa-inspired touches such as vessel sinks with artist-inspired vanities and 6-jet massage showers. 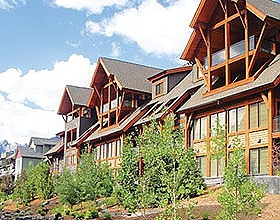 Plus balconies and patios for bringing the outdoors in, as well as underground parking, washer & dryer, BBQ area, and convenient storage for skis and gear.